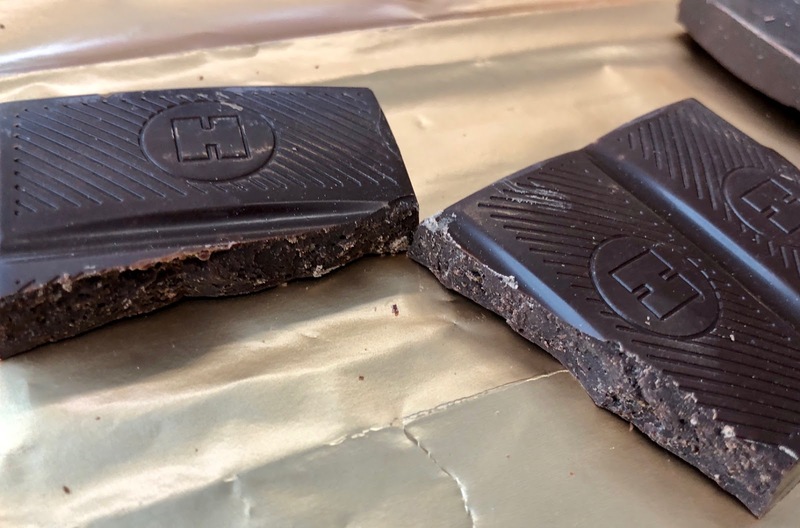 Hammond's has yet again pushed the boundaries of the traditional chocolate bar and discovered a brilliant candy mixture--fortune cookies and dark chocolate! 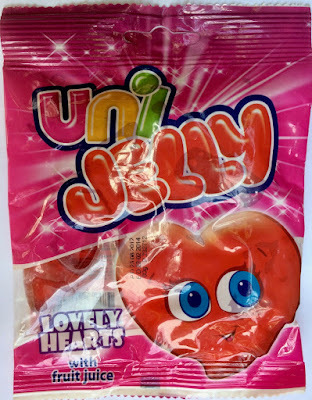 They were made for one another! I love that Hammond's thinks outside of the box. Here's the rub, however. 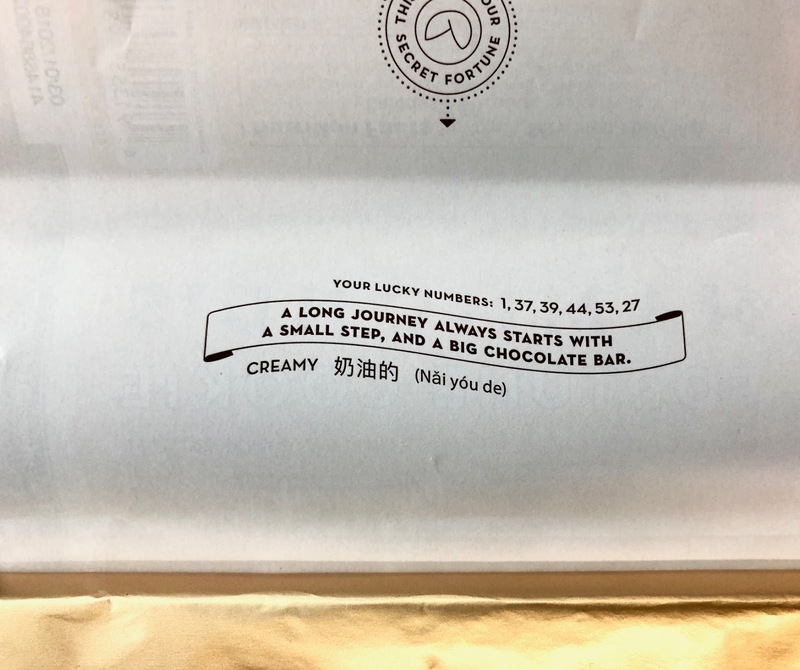 The fortune cookie bits are so very tiny and so very delicate in flavor, it's difficult to find them in the rich dark chocolate. We need bigger and identifiable pieces of crunchy Fortune Cookie for this bar to reach its promise. I hope that Hammond's will continue to refine this real winner of a chocolate bar and give the ingredients a more equal balance. The series of sparkling jellybeans created by Jelly Belly do really feel like something special, with their pleasing shades and iridescent shimmer. Valentine's Day is a perfect pairing for these jewel-like candies and the Jewel Valentine Mix constitutes a pleasing holiday visage along with a nice set of three complimentary flavors--bubble gum, cream soda, and very cherry. 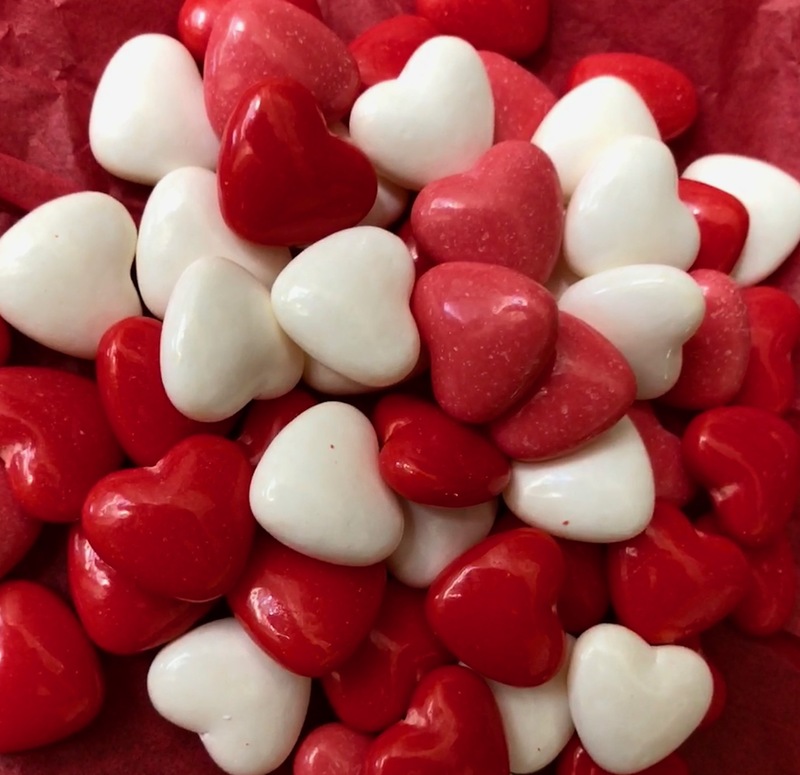 Sold in small pocket-sized packs, these are a great treat for yourself or to give to your Valentine. 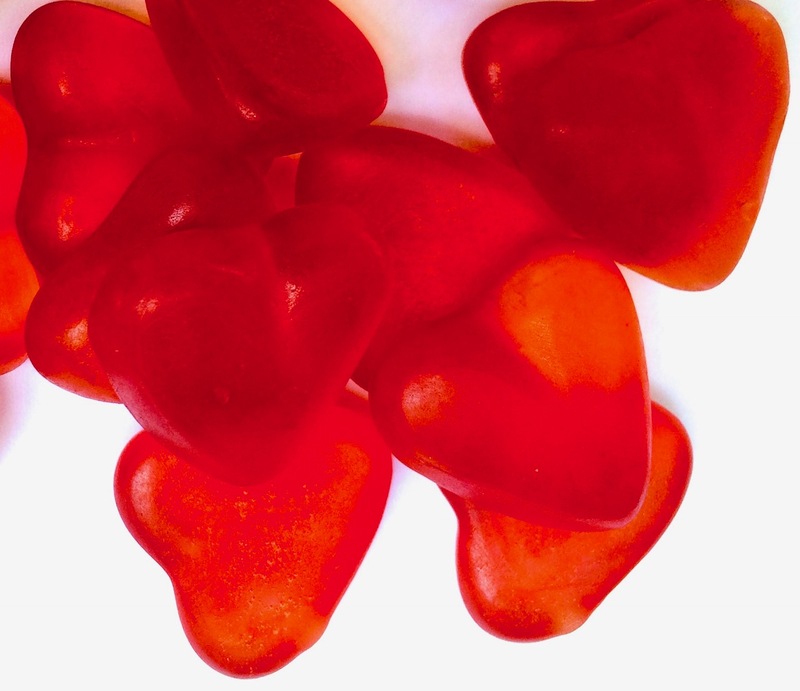 Does Gummy Cola flavor actually taste like soda to you? Not me. 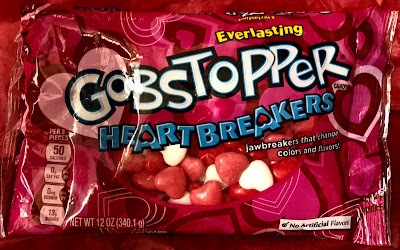 The flavor tastes fruity and a little musty to me, across the board by all gummy-makers. 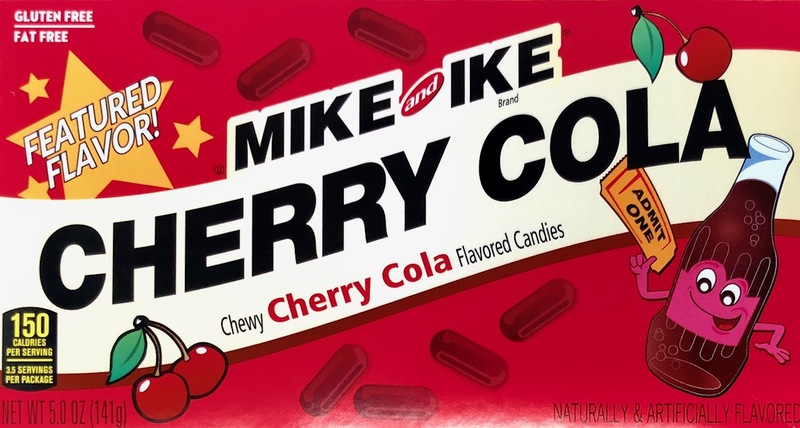 I don't quite get how in the day and age where basically every flavor is artificially reproducible we still have sub-standard cola flavorings. 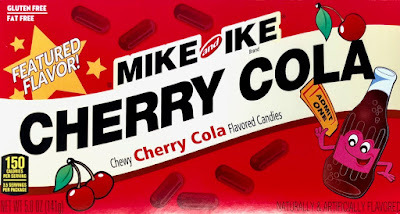 Mike and Ike's new featured flavor of Cherry Cola still retains that odd cola taste. 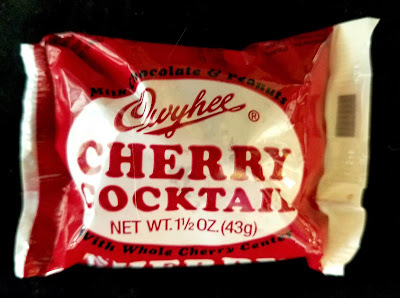 However, the cherry is a nice addition to the mix. I wouldn't buy these again, but if you're a fan of a cola gummy, these are the best out there. Oh wow, these new Ghirardelli Valentine's White Chocolate Crème Brûlée Squares are the surprising winners of the holiday candy aisle. 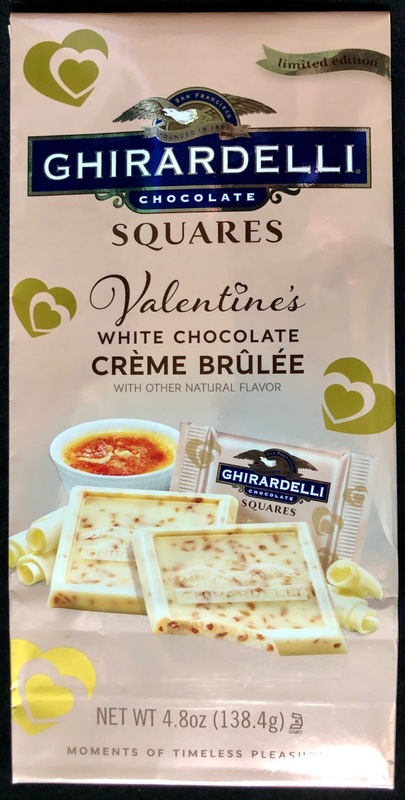 I expected a pretty good caramel infused white chocolate. But no. You tear open the foil package and your nose is hit with a wave of rich vanilla frosting. The creamy melty flavor matches the aroma perfectly. 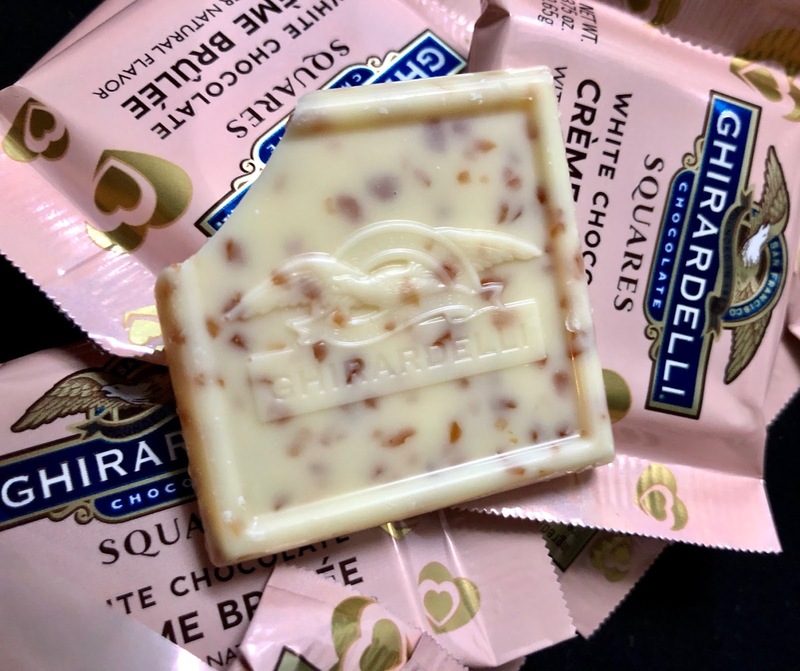 Shards of crystallized caramel populate the white chocolate adding substance to each bite and creating a beautiful flavor duet between the mellow white chocolate and more strident caramel. 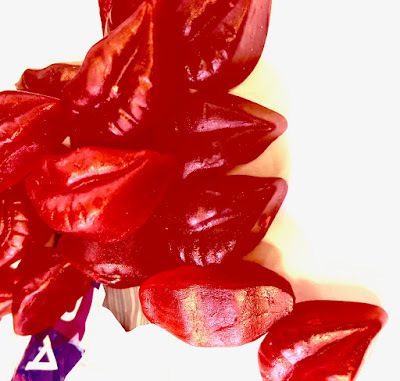 This is a must-try seasonal treat! Vibrant red Jelly / Gummy Lovely Hearts for your Valentine by Uni. Project 7 is getting really invested in a number of cocktail and wine related flavors within their sugar free line of gum and gummy bears. 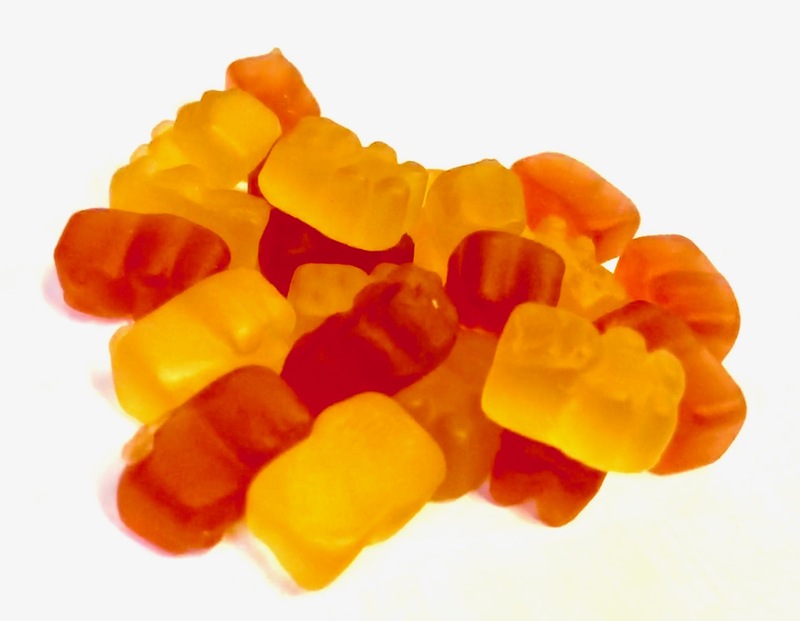 Obsessivesweets recently reviewed Project 7's gummy bears flavored like the classic Old Fashioned cocktail (read here). Another review tested the brand's Champagne Dreams sugar free gum (read here). 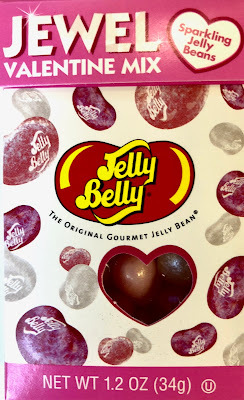 Then there are Jelly Belly's Champagne Bubbly Jelly Beans (read here) as well as the brand's Draft Beer Jelly Beans (read here). 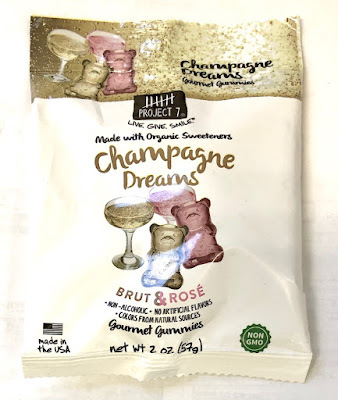 Whereas the Project 7 Champagne gum worked pretty well- a dry, less sweet flavor than typical gum--unfortunately the gummy bears just don't hold the flavor as well. They're a little too mellow. I think the Brut Champagne flavor works better than the Rose flavor. 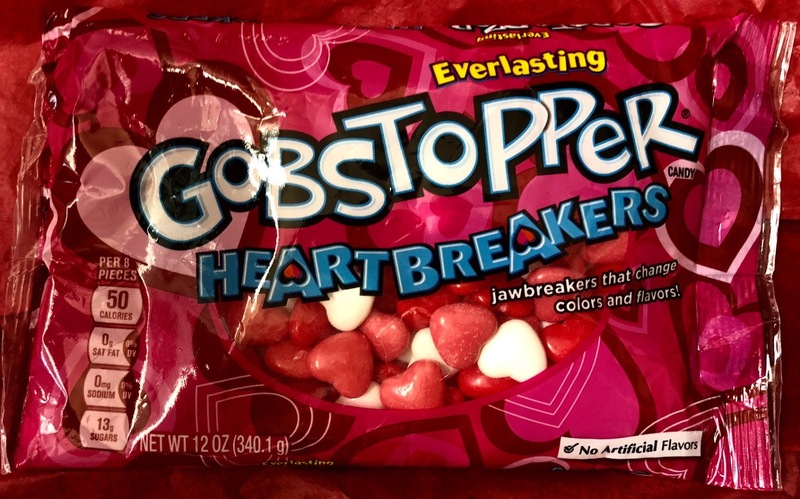 Both just need a little more glitz or flourish, perhaps the idea of bubbles somehow worked further into the flavor. 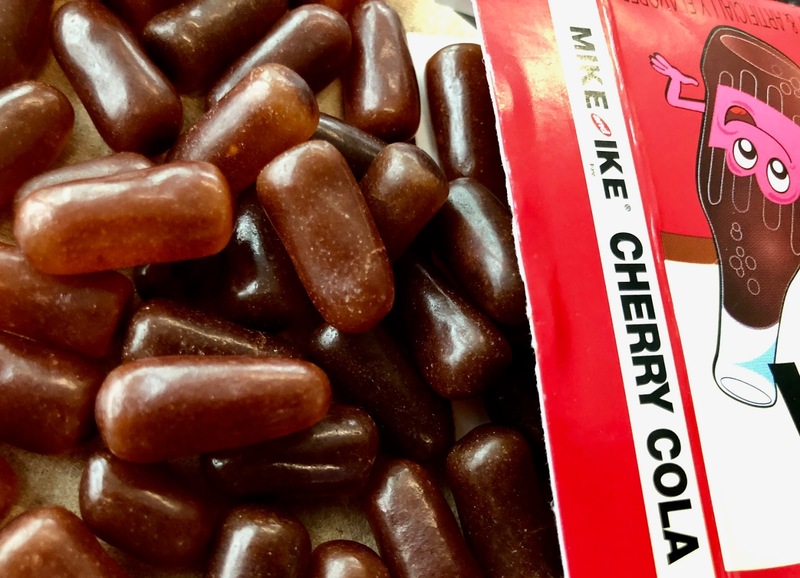 I would opt for the Project 7 Champagne gum over the gummy bears, if forced to choose. There's a little additional sparkle to the flavor that works really nicely. What's with these micro-candies all through Air Heads Blue Raspberry sugar-free gum? The tiny balls that crunch each time you bite down are so alarming. 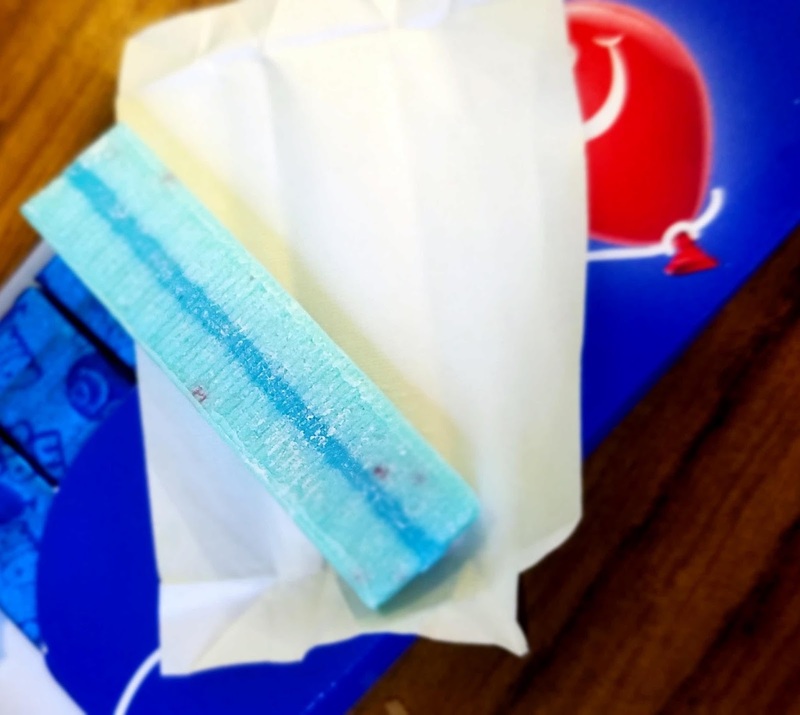 Gum shouldn't crunch. These micro-candies simply get in the way of a good blue raspberry calorie-free chew. 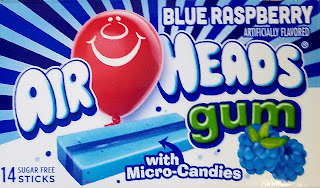 Next time, Airheads, skip the bells and whistles and stick with good simple gum. 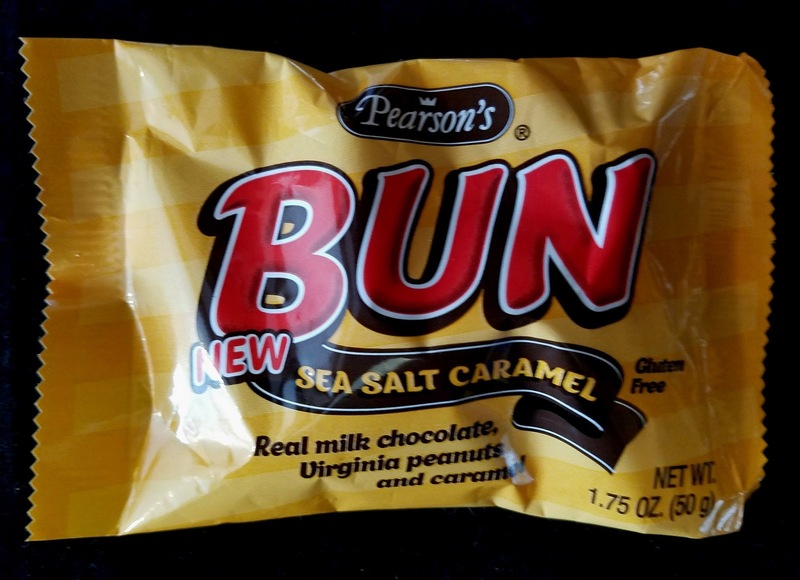 Pearson's Bun Bars hail from the 1920s, and yet the classic line is still experimenting with new flavors. Pearson's Sea Salt Caramel Bun Bar is pretty tasty--all of the elements go nicely together. But Maple Buns still reign supreme to my taste buds. This summer I consumed a number of alcoholic gummy bears in the flavors of popular cocktails such as mojito and sangria. Tasty (read about that here). Now both Jelly Belly and Project 7 have introduced non-alcoholic jellybeans, gum and gummy bears in a wide variety of cocktail flavors. 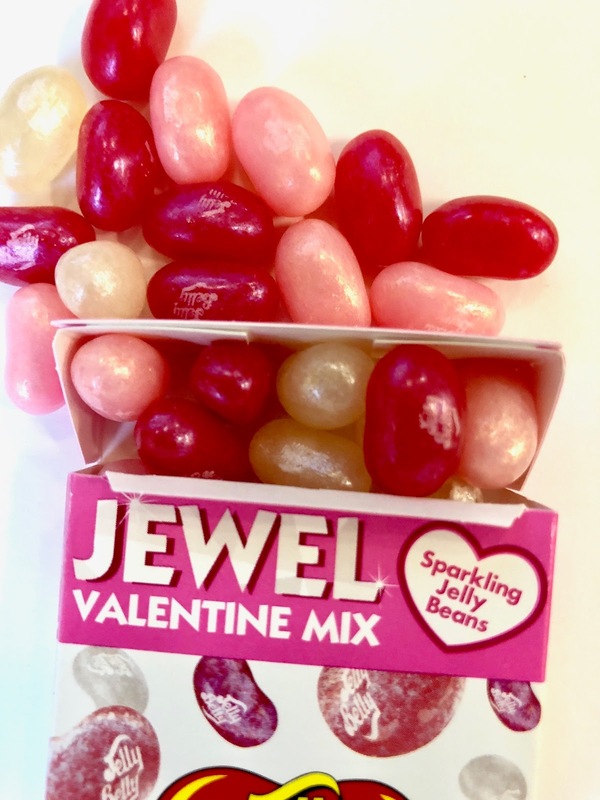 (Read about Project 7 Champagne Dreams gum here; Jelly Belly Bubbly Champagne Jelly Beans; or Jelly Belly Draft Beer Jelly Beans). I sense a trend coming down the line. 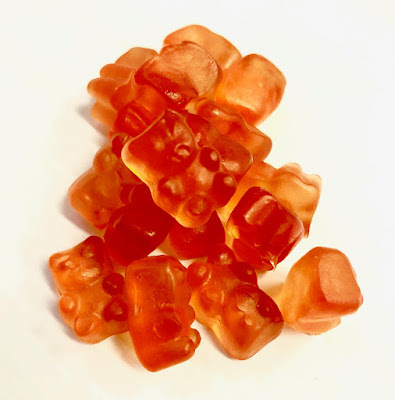 These Old Fashioned Gummy Bears by Project 7 are tasty, although I'll admit to never having samples the beverage on which the flavor is based. I didn't really taste whiskey, although the flavor of bitters adds a nice less-sweet zing. They're pleasant to consume. I'm not sure I would be able to identify them as a mixed drink but am excited to try the other flavors in the line. 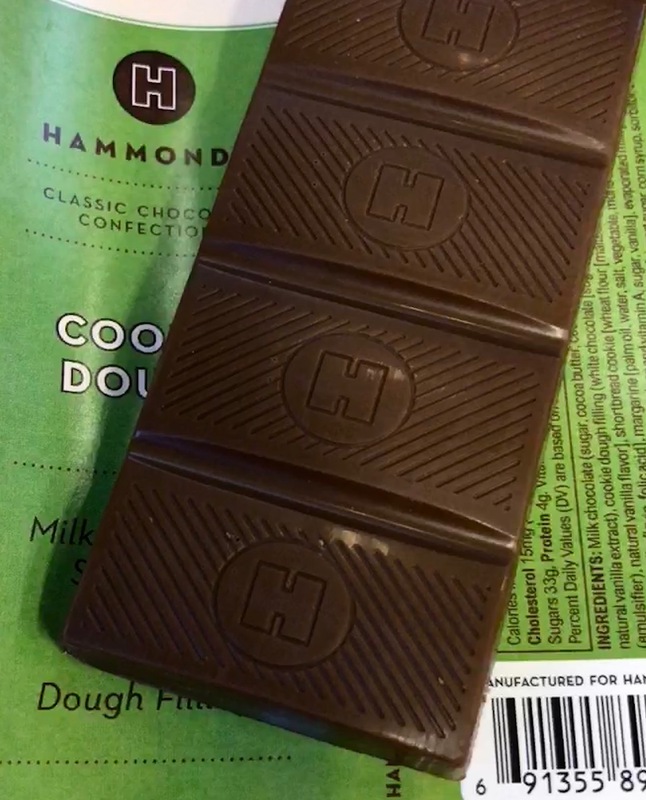 You can rely on Hammond's to always provide a candy bar with a high-end chocolate foundation. 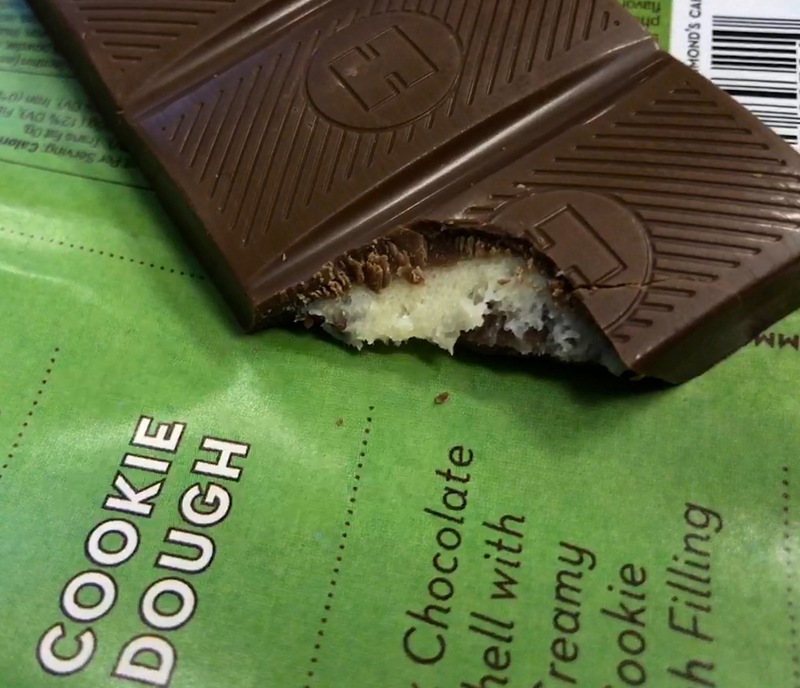 This Cookie Dough Bar is no exception, with luxurious creamy milk chocolate doing a lot of the heavy lifting. The cookie dough is really nice, too--a thick consistency that melts instantly in the mouth, and a nice blend of butter and vanilla in the flavoring. 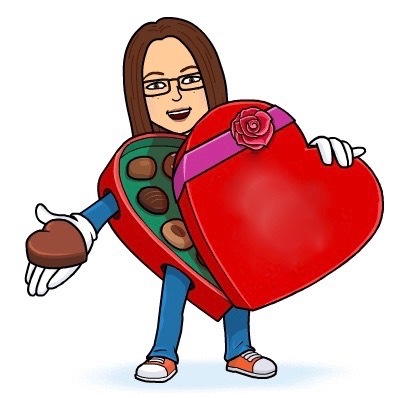 My only wish is for a higher ratio of dough to chocolate. I understand that it is difficult to create a structurally sound shell to safely contain the messy dough, but wonder if thinner layers of chocolate could work, allowing for more dough in every bite. 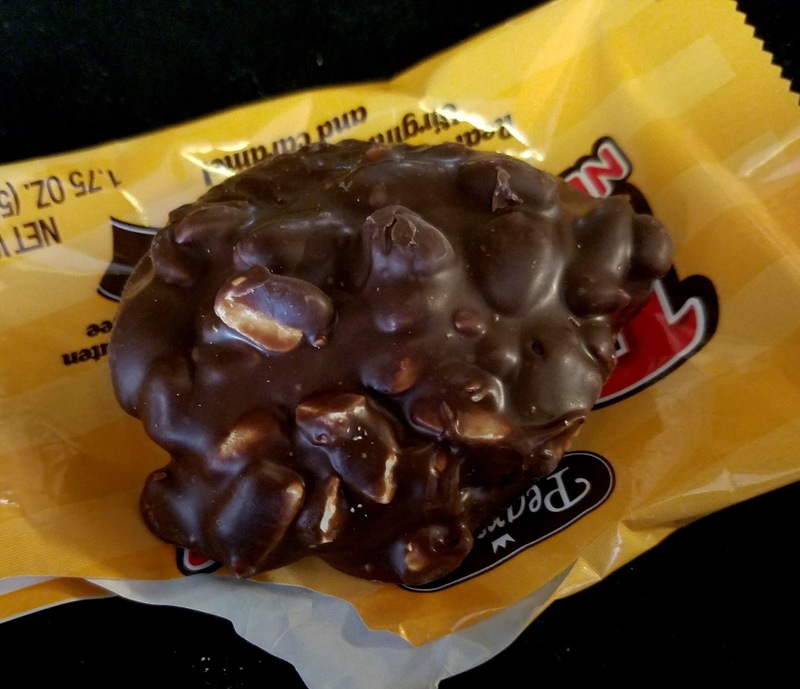 Perhaps the bar would need further protective wrapping, but it would be worth it. 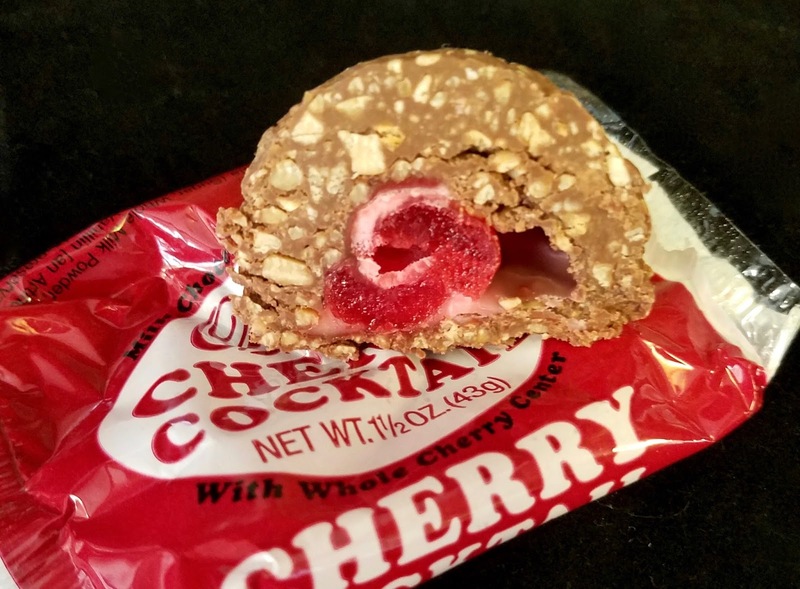 Until recently the Black Thunder bar was unknown to Obsessive Sweets, but now this intrepid candy consumer is quickly making up for lost time. 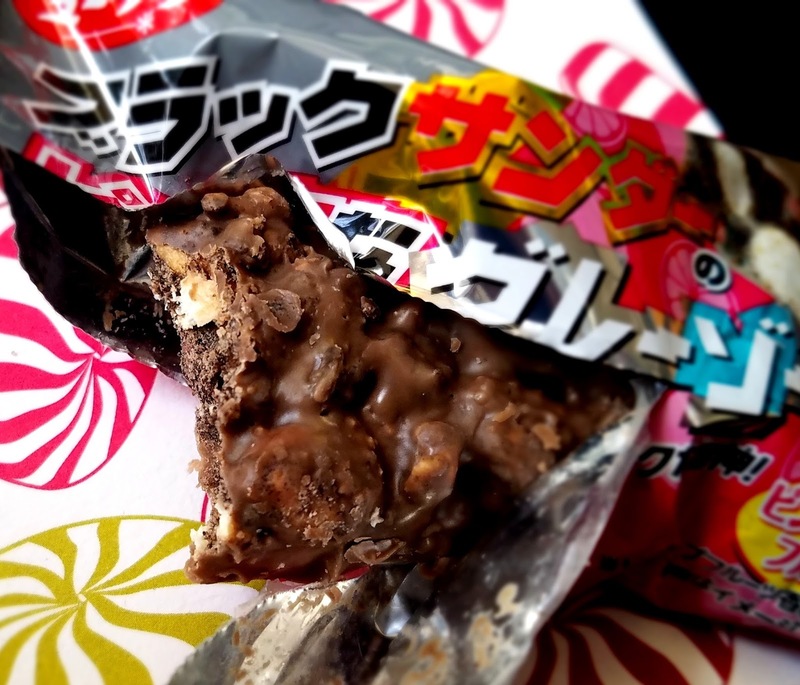 The inexpensive Japanese candy bar is comprised of chocolate cookie pieces and puffed rice all covered in a thin layer of dark chocolate. 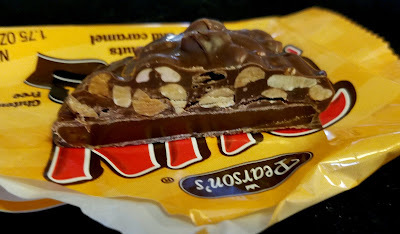 It's like a more-aerated wafer bar. 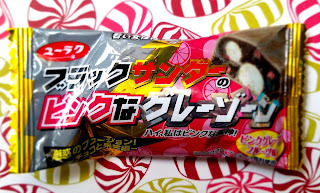 Then there are a zillion varieties on the traditional bar, such as this Black Thunder Grapefruit bar. I like the audacity of combining sparkling grapefruit citrus flavor with chocolate-- unheard of! Yet it works. Each bite is so light, the chocolate forms a base-note whereas the floral grapefruit rises above. 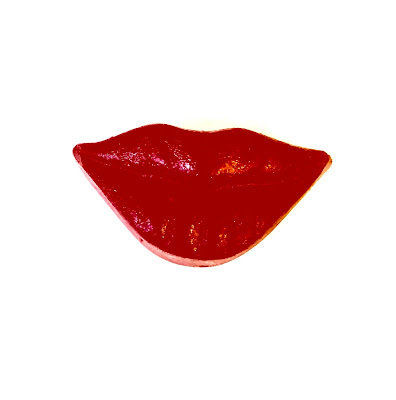 It's tasty! 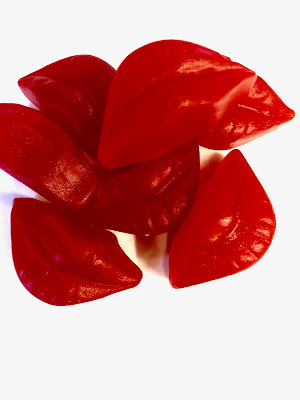 Hopefully there will be more varieties taste-tested on obsessivesweets in the near future. So many flavors to try!